I posted this photo yesterday on my personal Twitter page (not the CAA’s Twitter page, at right, which is also “mine” but … as you might image … more driving-related than my own). But I thought you might like to see it here as well. After our descent last week into the dreaded polar vortex, we were back up near the 50-degree mark over the weekend. And the sun came out yesterday. 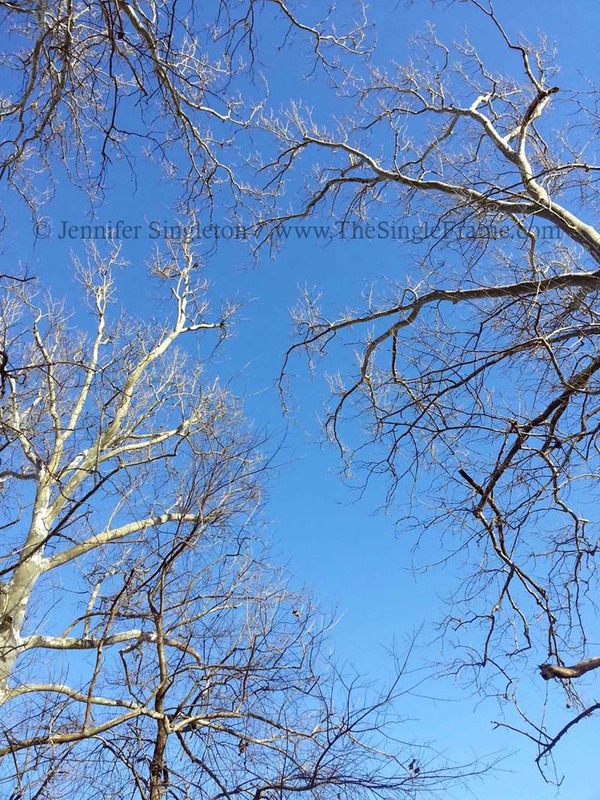 As I noted when posting the photo, I adore the “leafy” seasons, but I also love bright winter days, when the Kentucky Horse Park’s trees get a chance to show off their underlying structures. Of course, it was snowing today.